In case you haven’t noticed, Nose Secret is flying across continents at the speed of light! 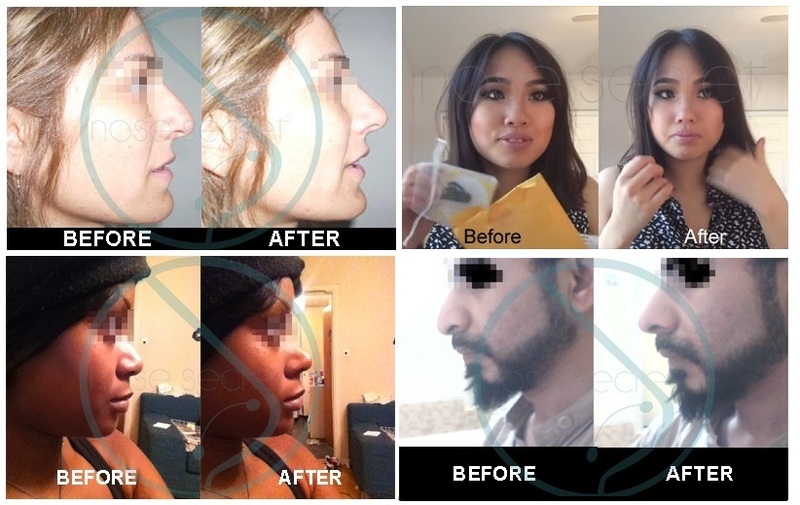 Everyone loves this low cost, non-invasive, non-surgical approach to nose contouring. Whatever your ethnicity, Nose Secret has something for you! Here are four reasons why Nose Secret is so popular! 1. Nose Secret can make a crooked nose appear more straight. It’s so easy – just gradually work your way up to wearing Nose Secret a half hour at a time and increasing in 15 minute increments every few days. In no time, you’ll be confidently reaching for your kit every time you get ready to leave the house! 2. Nose Secret can also make a flatter and wider nose look slimmer and pointier at the tip. It’s so simple to use, and the wide range of sizes ensure that every wearer can find a comfortable fit. Keep Nose Secret in your cosmetic bag for use anytime, anywhere! 3. Nose Secret can narrow and lengthen the appearance of a broad nose. If one size starts to feel a little loose, just upgrade the the next size. You’ll barely notice you are wearing a nose shaping device at all after only a short time! 4. Nose secret can correct the look of a droopy nose, or make a bump on the nose less noticeable. It will quickly become a staple of your makeup routine – just pop in your Nose Secret before you head out the door, and enjoy multiple compliments on your appearance! Check out our starter kits and try Nose Secret today. We even offer specials at regular intervals, so you can always restock as needed! Previous PostSpring Sale NoseSecret 15% OFFNext PostDon’t be fooled by Nose Secret Knockoffs. Here’s Why!